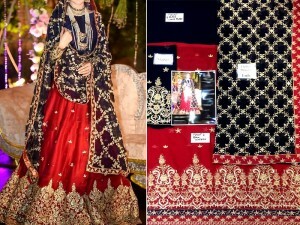 Forget all about the ‘Laal Uroosi Jora’ and flaunt your feminine charm in this absolutely gorgeous embroidered chiffon bridal dress. 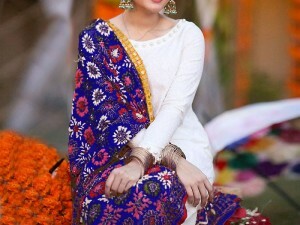 This exquisite bridal dress features an embroidered front, back, sleeves, and a body beautifully paired up with an embroidered chiffon dupatta and plain trousers. 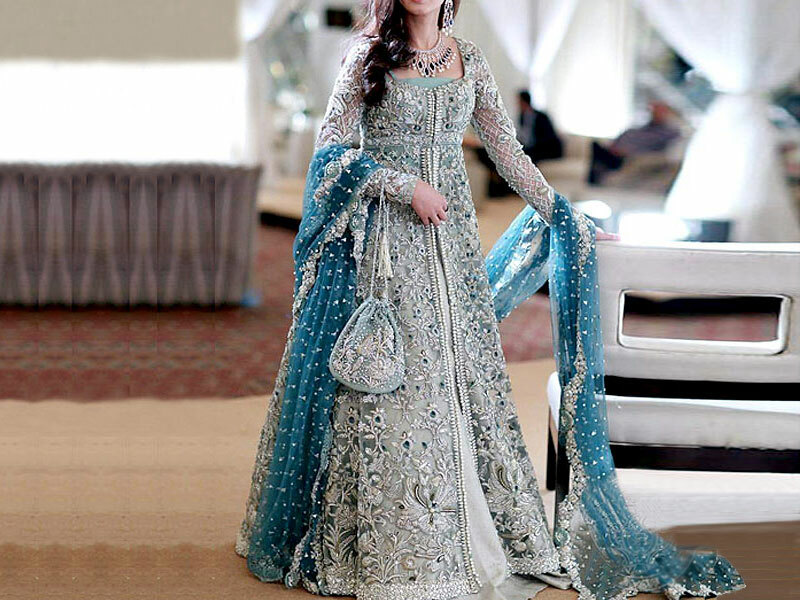 The glorious dress is ideal for weddings and special occasions. 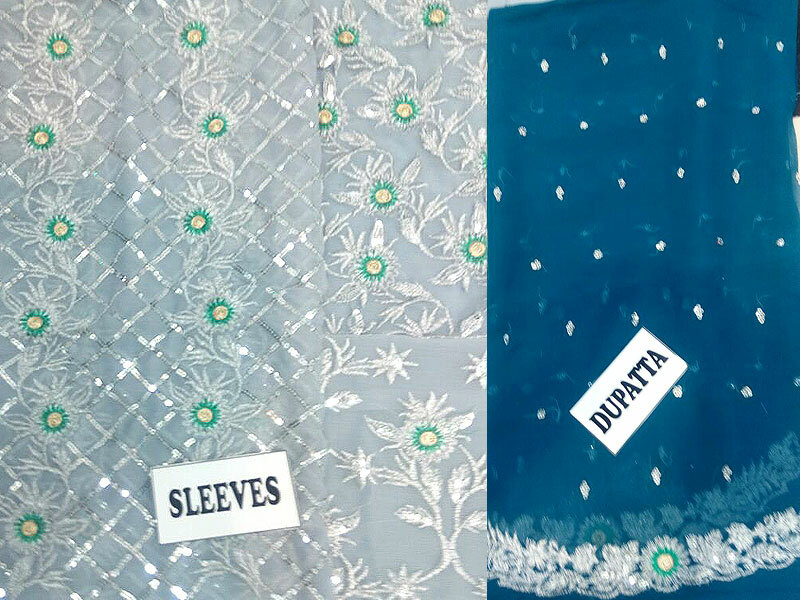 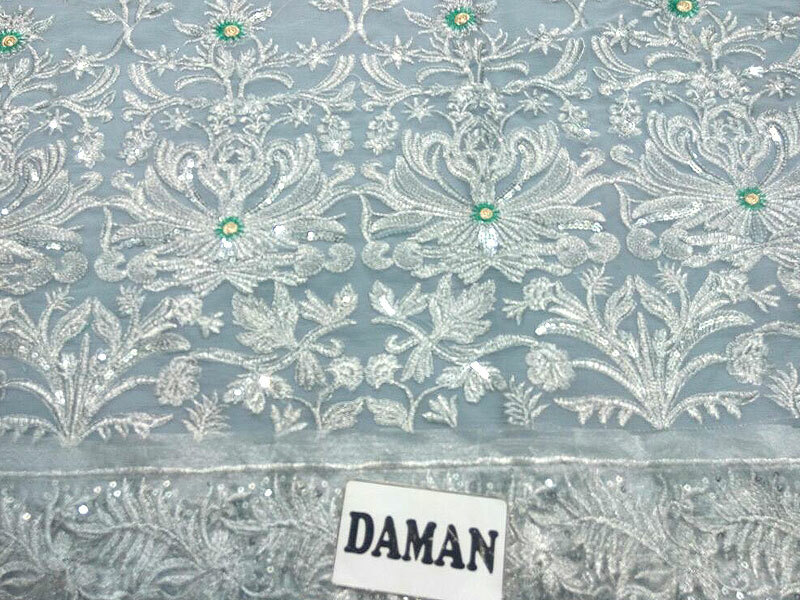 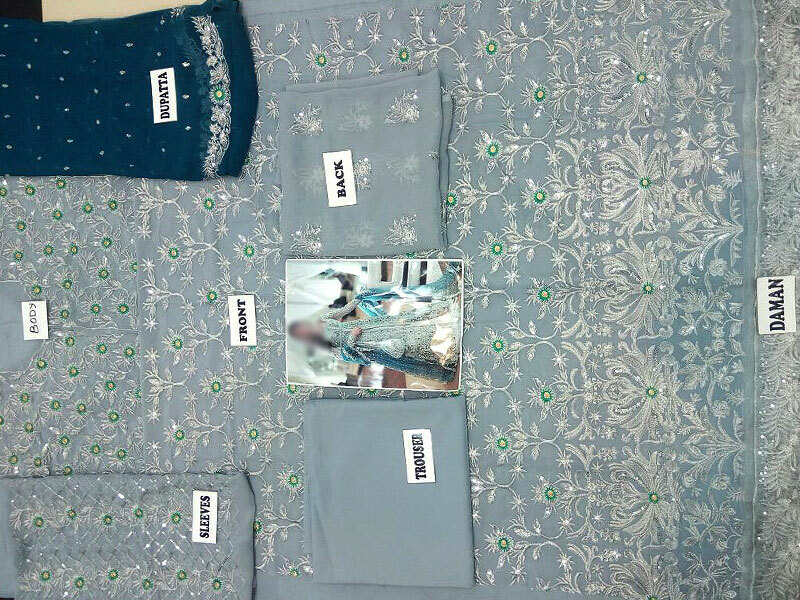 This suit has beautiful embroidery that will provide awesome look to the wearer on special occasions. 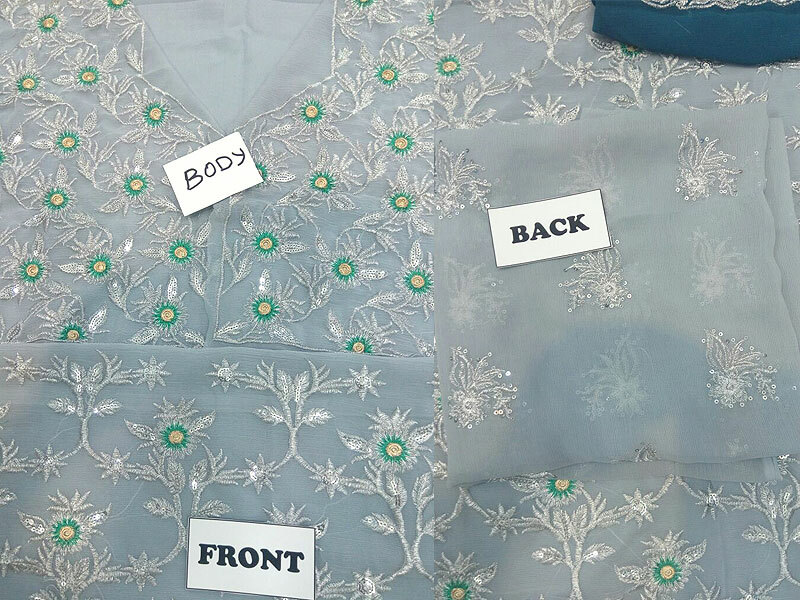 Currently we are offering this Pakistani Chiffon Bridal Dress at Sale Price in Pakistan with Free Home Delivery. 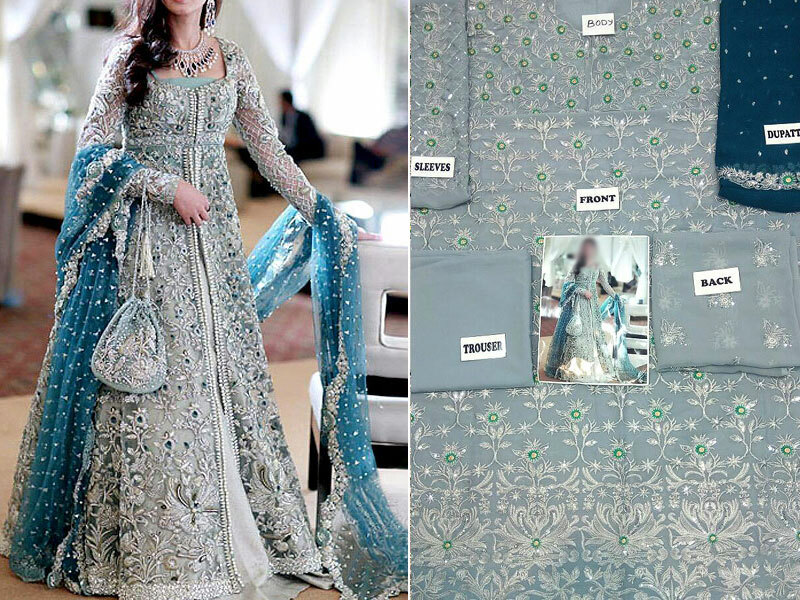 Designer Embroidered Chiffon Bridal Dress Price in Pakistan (Code: M008579) offer by PakStyle are just Rs.2595/- instead of Rs.3500/-. 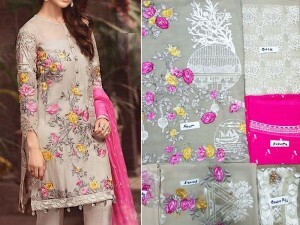 Buy Designer Embroidered Chiffon Bridal Dress Online in Pakistan and variety of other products like Womens Clothing, Womens Dresses, Chiffon Suits, Maxi Dresses, Grey Wedding Dresses at PakStyle.pk and enjoy Fast Shipping with Free Home Delivery in Karachi, Lahore, Rawalpindi, Islamabad, Faisalabad, Hyderabad, Quetta, Peshawar, all across Pakistan and get it delivered in 1-4 working days.